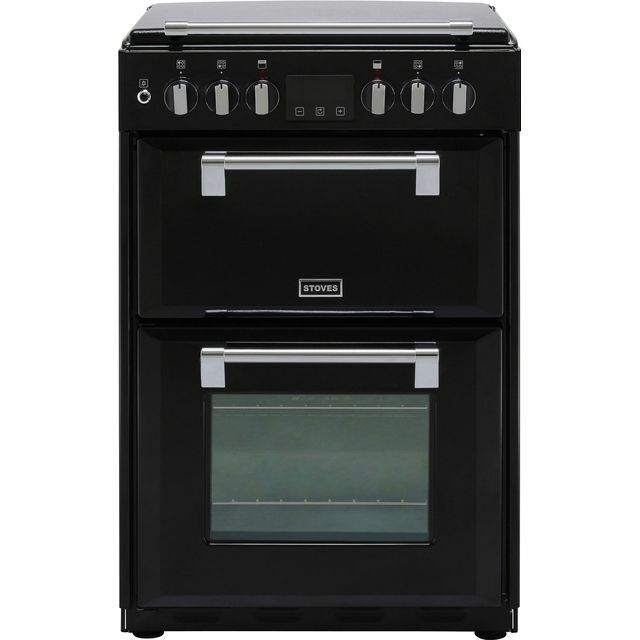 Bring your favourite recipes to life with this black electric cooker from Stoves. With an efficient A/A energy rating, it’ll be kinder to both the environment and your utility bills. The main electric fan oven evenly circulates heat inside, which is great for creating multiple dishes at once. Its slow cook function is ideal for preparing deliciously succulent meat, so it’s perfect for creating hearty meals for your friends and family. It even has handy telescopic shelf runners, which slide out to make it effortless to check on your masterpiece. After painstaking research I came to the conclusion that I was going to have to pay extra to get the quality I require, and I was not disappointed. This cooker is absolutely brilliant. From the top, you get a sturdy metal hob cover, much nicer than the usual glass ones. The hob itself has very nice cast iron fittings and is easy to clean. Some complain the ignite button is on the left, but I can live with that. The dials have a lovely feel to them, and there is not a gap between the dial and the cooker that food could get stuck down. The timer is easy to operate, as is setting the time. 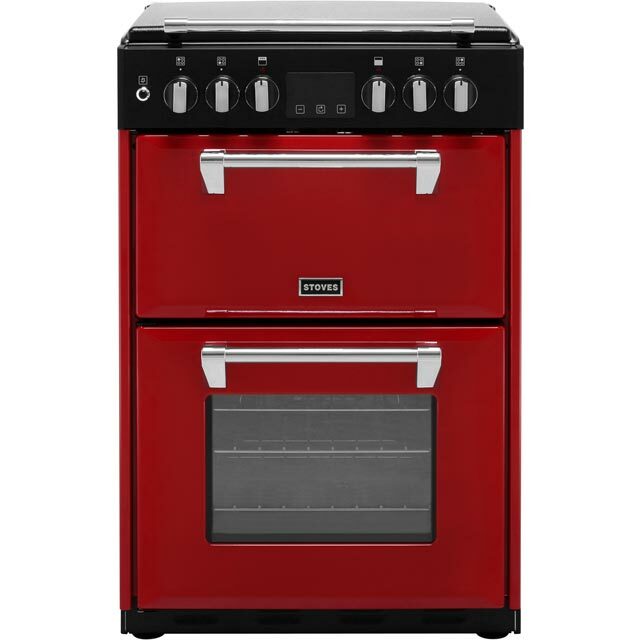 It has some smart features regarding cooking times and auto shut-off. I had a little trouble getting a bluetooth connection but it is not a feature I am particularly interested in. The grill is fast and cooks well, and you get a nice big wide grill tray (unlike many other cookers). The tray is embossed with the Union Jack which is a nice touch. 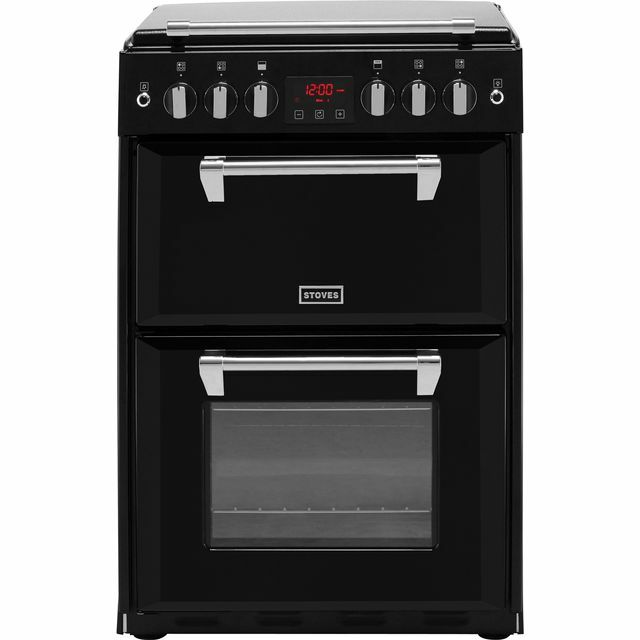 The main oven cooks evenly and is very spacious, and the light effectively illuminates the food so you can easily see what's going on. Overall, it looks awesome, it is built like a Sherman tank, is fantastic quality, and really is best of British. Well worth paying the extra! Very pleased with the quality of the cooker, instruction manual could have been better though. The Bluetooth functionality is pointless as the app is completely unreliable. Those issues aside, I'm very happy. 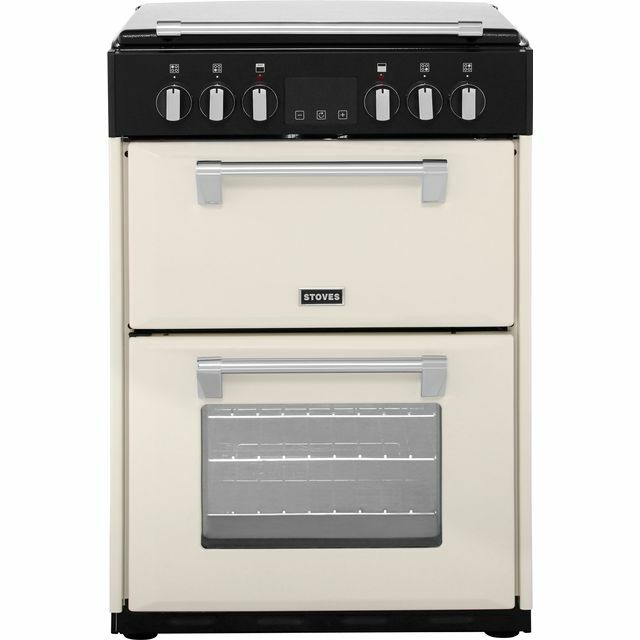 I love this stove, it’s the first time cooking with gas hob and electric ovens, rather than all electric. I’m still attempting to get rid of that “new” smell, it really gets down my throat and caused my to cough !! I’m turning it on full to help thus, door open and air filter going. The other negative thing is to be careful with the oven handle as it gets really hot. Especially if you have grandchildren around. Bought this for a small kitchen in a second home. 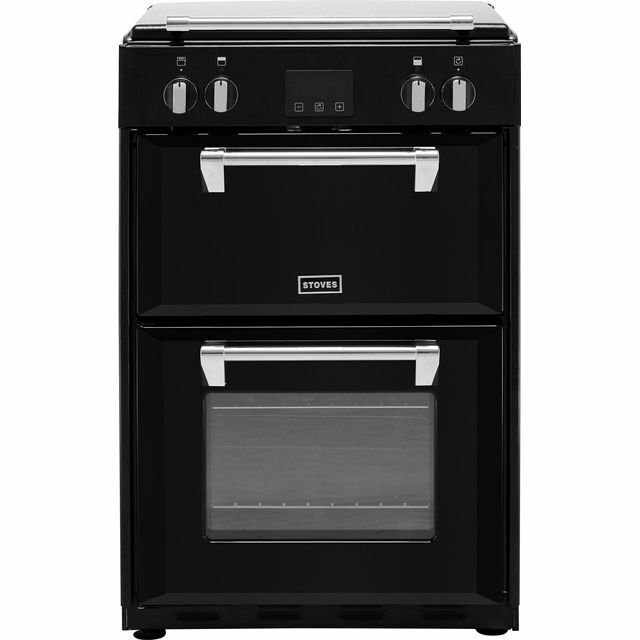 This 60cm cooker looks a little like an expensive range cooker that I also have but the build quality is just not the same. The doors and hob furniture are quite thin and lightweight. There is no grill pan handle supplied. Nevertheless it cooks the same for a quarter of the price. It has a useful clock which my range doesn’t have!